Our Village Management Team are responsible for the operational managment of the village. The Village Managers have an open door policy and their team are always available to meet with residents, regardless of the request. Our Village Managers' primary aim is to deliver the best student living experience for UL students and they pride themselves on keeping residents happy and resolving queries residents may have. 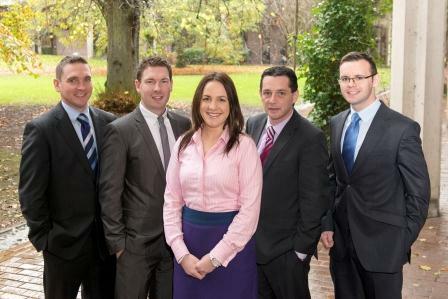 Our team have many years' experience assisting new students. Whether the problem is homesickness, having a problem with housemates, trying to find a doctor or dentist or simply opening a bank account, you will find that our Village Managers have dealt with the query on many occasions. The Village Management Team is supported by Resident Assistants (RA's) whose primary aim is to protect the safety and welfare of our student communities. Our Village Receptions are open from early morning right up to 10.30pm each night during the week,which means that there is always staff on hand to assist or even just for a chat. We also provide a professional maintenance service who can fix any problem from changing a light bulb to attending to a major plumbing or electrical fault. If for what ever reason you wish to discuss a matter with the Village Manager, we would be delighted to hear from you. If you are having difficulties settling in, getting on with your housemates or you are concerned for another resident/housemate - the Village Management Team are always on hand to listen and give you advice. All meetings are confidential and discretion is of utmost priority. Contact the relevant Village Manager directly on the numbers below or contact our central office on +353 61 202331.